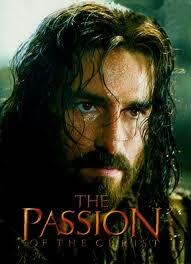 The controversial film The Passion of the Christ, released in early 2004, garnered both acclaim and censure from critical and popular audiences. This is a topic suggestion on The Passion of the Christ from Paper Masters. Use this topic or order a custom research paper, written exactly how you need it to be. The controversial film The Passion of the Christ, released in early 2004, garnered both acclaim and censure from critical and popular audiences. While responses to the film were decidedly mixed, the amount of interest and public discussion generated by the release of The Passion of the Christ was virtually unprecedented, as were the substantial revenues, which far exceeded the modest level expected to be garnered for a film with a conservative religious premise. Present a comparison and contrast of the chief responses of Christians and Jews to The Passion of the Christ. Present the components of a hypothetical program designed to assuage the potential rift or tensions between these two groups will be described and briefly discussed. Be sure to include your own assessment of the film. For many Christians, the release of The Passion of the Christ represented a galvanizing renewal of faith and shared belief, which prompted nationwide engagements and events keyed to coincide with the film’s release. Although there was some measure of dissent from some Christian groups, the mainstream majority appeared to regard the portrayal of Jesus Christ’s final hours and eventual death as historically accurate, fair, and spiritually meaningful. The responses of Evangelical Christians to the film were particularly enthusiastic, an outcome which surprised many critics. Because the interpretation of the Biblical account of Jesus’ death that is portrayed in the film is specifically grounded in a Roman Catholic perspective, it had been speculated that Evangelical Christians may reject The Passion. In actuality, however, Evangelicals appeared to be the religious group that was most engaged with the film and took the fullest advantage of the opportunity for fellowship and proselytizing that its release offered. In fairness, there were scattered media reports recounting negative Christian reactions to the film, most notably from leading Christian intellectuals and theologians who expressed worries about the impact of the portrayal that was advanced in the film. Others found its historical license to be untenable, and still other Christians regarded the project as blasphemous or otherwise inconsistent with their religious values. However, on the whole, it appears that the majority of Christians supported the film and rejected claims that it portrayed Jews as the sole initiators of Jesus’ death. Jewish reaction to the film was, on the whole, much more negative. Although a broad array of responses were voiced following the release of The Passion, the majority of opinions seemed to criticize the portrayal of the Jews’ role in Jesus’ persecution and crucifixion. St. Francis and Christ - St. Francis and Christ research papers compare the two religious figures and asceticism. Religious Place of Worship - In addition to the crucifix, the windows were made of stained glass, and depicted the Stations of the Cross, twelve events of Christ's passion and crucifixion. The Maccabees - Maccabees research papers examine the Jewish family who led a revolution and died heroically for the right to worship God during a thirty year period before the birth of Christ. Church of Jesus Christ of Latter Day Saints - The Church of Jesus Christ of Latter Day Saints (LDS) is the official name of the religion popularly known as the Mormon Church. The Gospels - The Gospels research papers report that the Gospels are the teachings of Jesus Christ and the history of his life. Order a research paper on the Gospels from Paper Masters. Books of the Bible: Luke - The third gospel in the New Testament that recounts the life and teachings of Jesus Christ. Books of the Bible: James - The Book of James is a New Testament document that may have been originally written by James, the brother of Jesus Christ, and later reworked by an unknown editor. Asceticism - The first of these concepts is asceticism, the second retreat from the world, the third the concept of imitation of Jesus Christ. Books of the Bible: Hebrews - Readers can see Hebrews as a text directed at early Christians, encouraging them to remain within the faith after the death of Jesus Christ. Books of The Bible: Galatians - Paul then explains that justification can only be obtained through faith in Jesus Christ. Books of the Bible: Thessalonians - The Christian religion is founded on Jesus Christ who walked the earth as the Son of God. Film Appreciation - Film Appreciation research papers examine the appreciation for film through the understanding of genre and film making techniques employed in the construction of a motion picture. Paper Masters writes custom research papers on The Passion of the Christ and investigates comparisons and contrasts of the responses of Christians and Jews toward the film.